Since the return of ZA Cosmetics, I am one happy camper as this brand is definitely easy to reach for beauties on the budget! After reviewing ZA Perfect Fit Two-Way Foundation Powder, I am excited to give their lip product a try! The ZA Plumper Lips in gorgeous Candy Pink. "Fill-up collagen" replenishes your lips with rich moisture while "Plump-up pearl",with its light-diffusing effect, makes your lips look incredibly plump and smooth. Tube looks very cute and classy. Color looks nice and natural on lips. The texture is quite creamy and glides on lips without much effort. 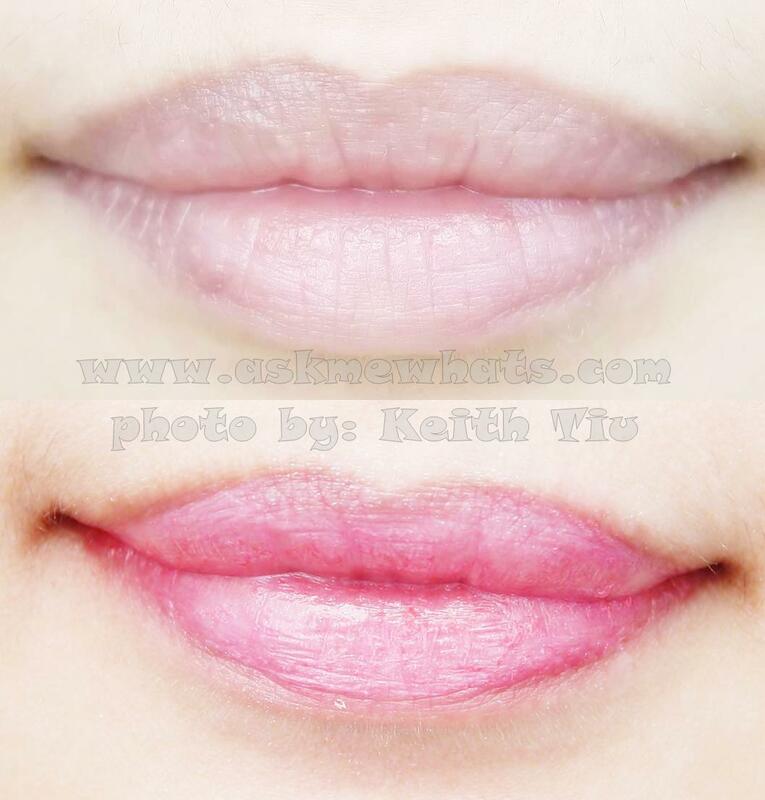 Lips doesn't look dry or flaky. Keeps the lips moisturized throughout usage. Has a nice scent but very minimal. The lipstick contain "fill-up collagen" making my lips less dry looking. The added Vitamin E helps lighten up lip darkness. I went to ZA Counter to check their other shades, all their shades are on the natural side, so if you're looking for heavily pigmented lip plumper from ZA, then you won't be able to find them for now. ZA Plumper Lipstick is in between a moisturizing lipstick and a lip gloss. It doesn't look like you're wearing a lipstick at the same time it doesn't look like you're wearing a gloss. The effect is more of a "wet" "just-licked your lips". Smooth, moisturizing lipstick with a reflective sheen that gives an illusion of fuller lips without the sting. To create fuller-looking lips, apply the ZA Plumper Lipstick a bit beyond your lip line. Lip liner brush isn't needed as this can be applied directly from tube and your lips look really nice and natural. For a more plump-looking lips, apply a clear gloss at the center of both upper and lower lips. Apply and re-apply, layer after layers to keep the lip color longer. Everyone who wants a nice, plumped-up, kissable lips. Costs around Php300.00. ZA Cosmetics are now available at Landmark Makati, SM Aura Department Store, SM Aura Watsons and Landmark Trinoma. Like ZA Cosmetics on Facebook, Follow them on Twitter (ZACosmeticsPH). The swatch looks quite sheer but shows off quite natural on my lips. It evens out the weird dark patches of my lips (Note: I'm a non-smoker). Would you go for ZA Plumper Lips? I usually steer clear from any lip plumping products but I find myself reaching out to this several times because it never stings and the effect isn't Angelina Jolie lips but more of a full, healthy, moist lips!